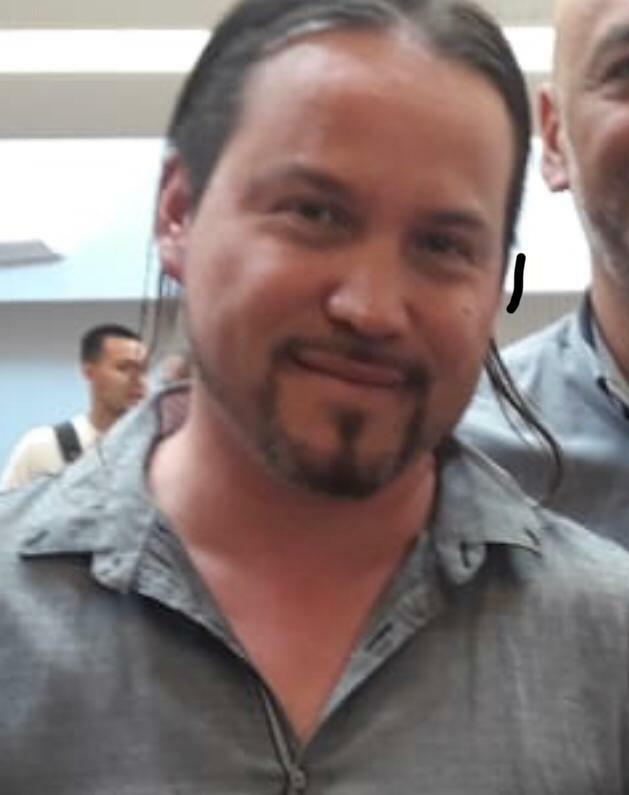 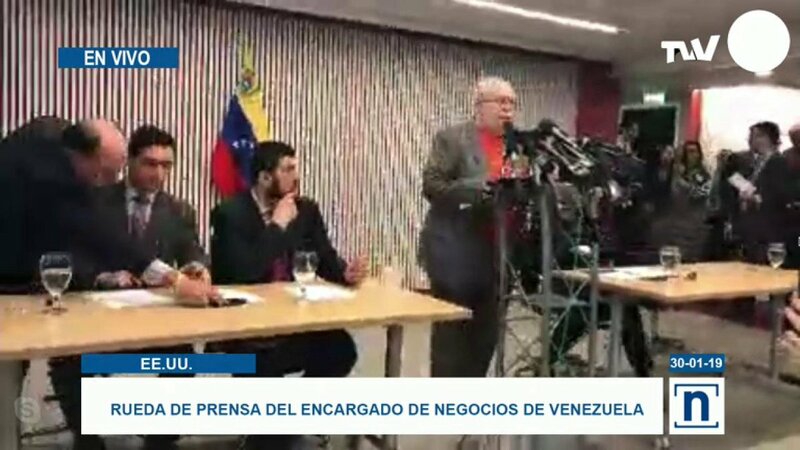 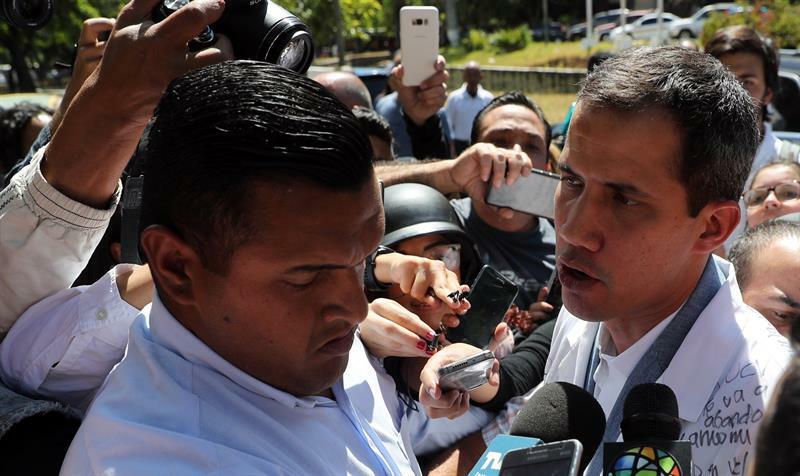 Néstor Reverol announced the capture this morning of retired Colonel Oswaldo García Palomo, for "being part of a new conspiracy plan." 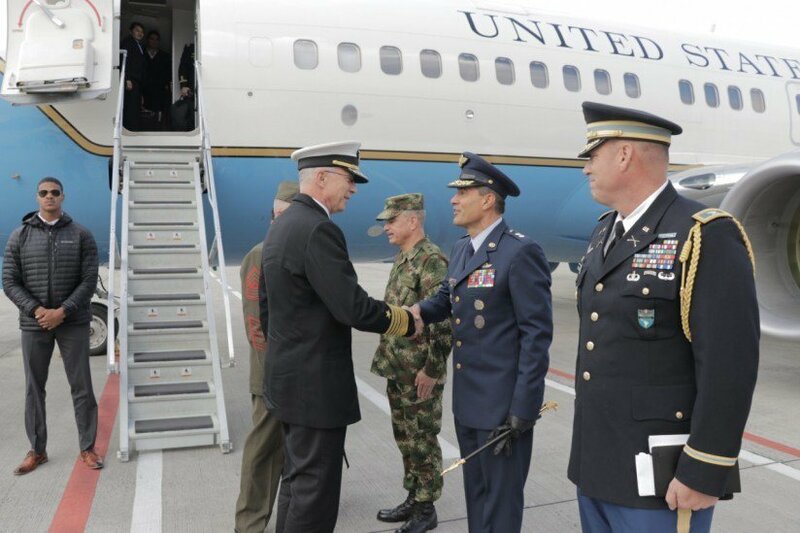 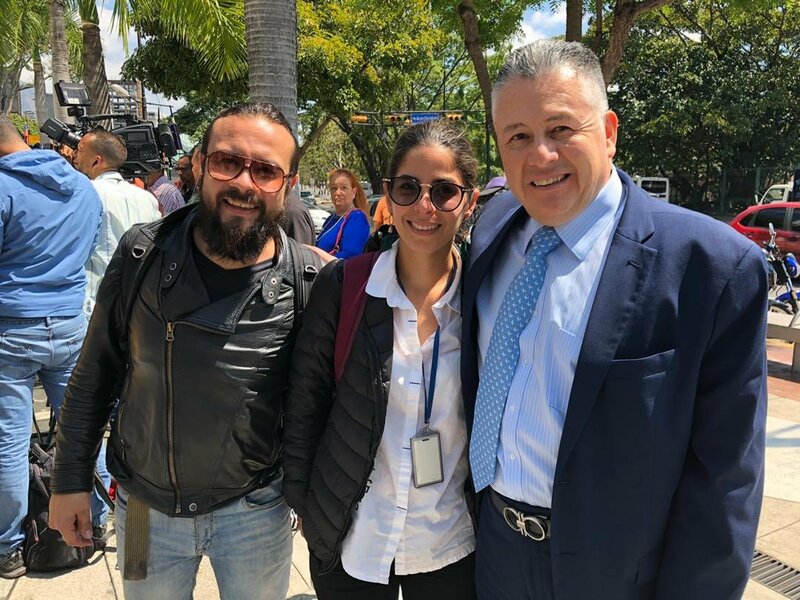 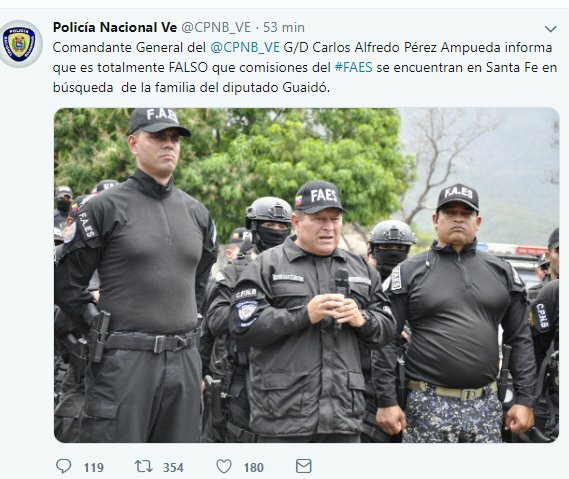 [email protected] "my family is respected"
The Venezuelan National Police denied that FAES officials went to Santa Fe in search of the family of the acting president Juan Guaido. 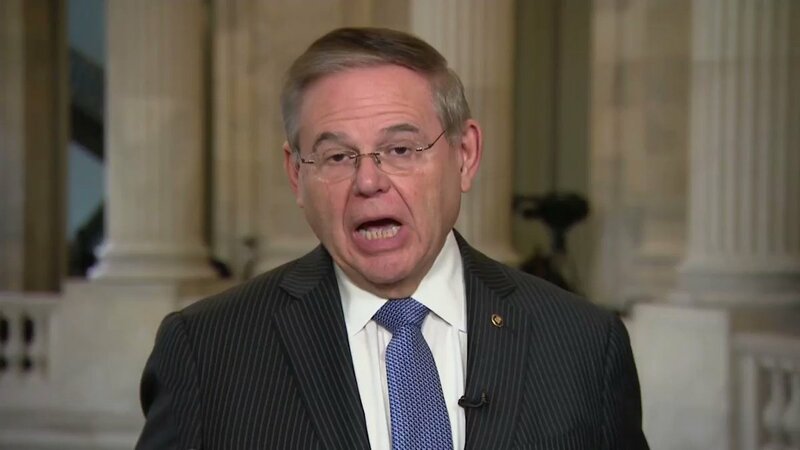 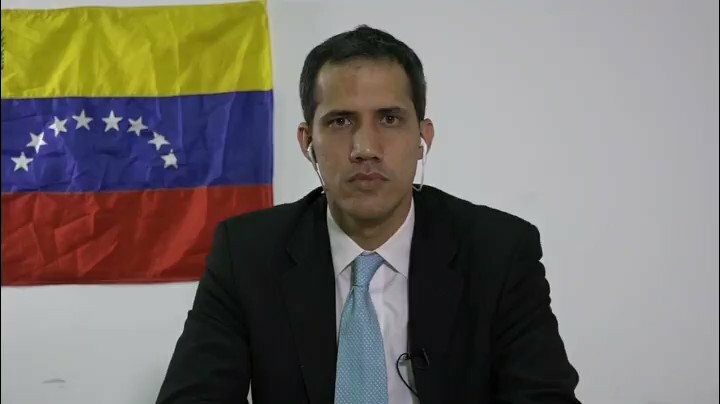 [email protected] responds to the letter of Guaidó. 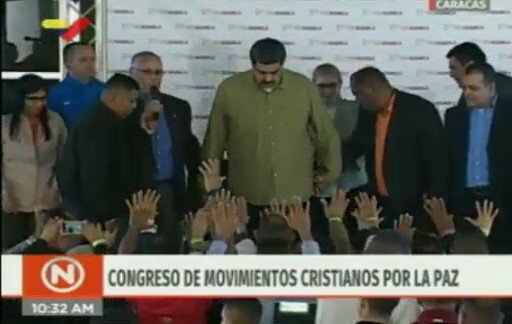 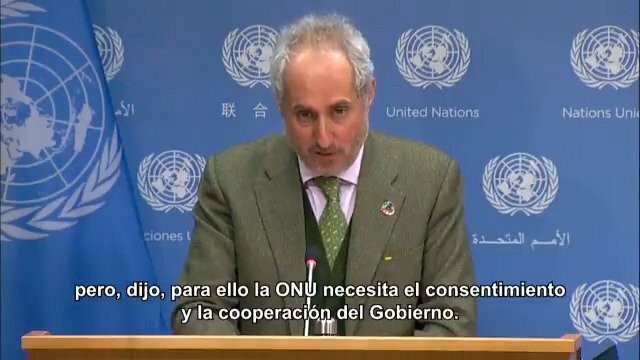 "The UN is ready to increase its humanitarian and development activities in Venezuela." 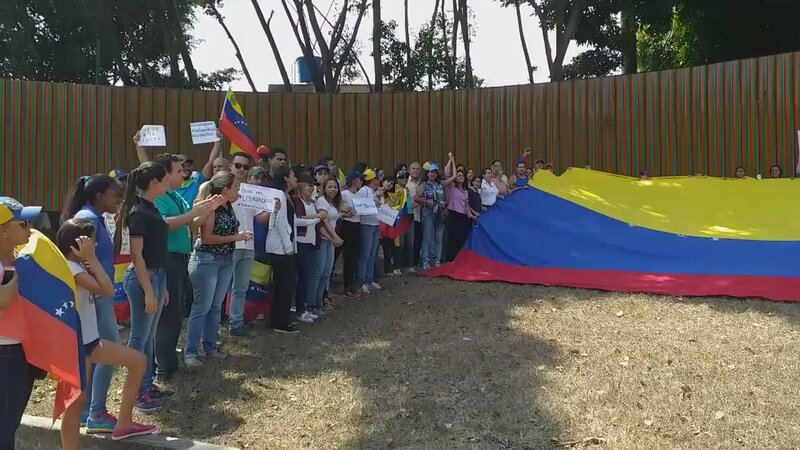 [email protected]: On Saturday we will meet again on the street in a demonstration of strength and organization. 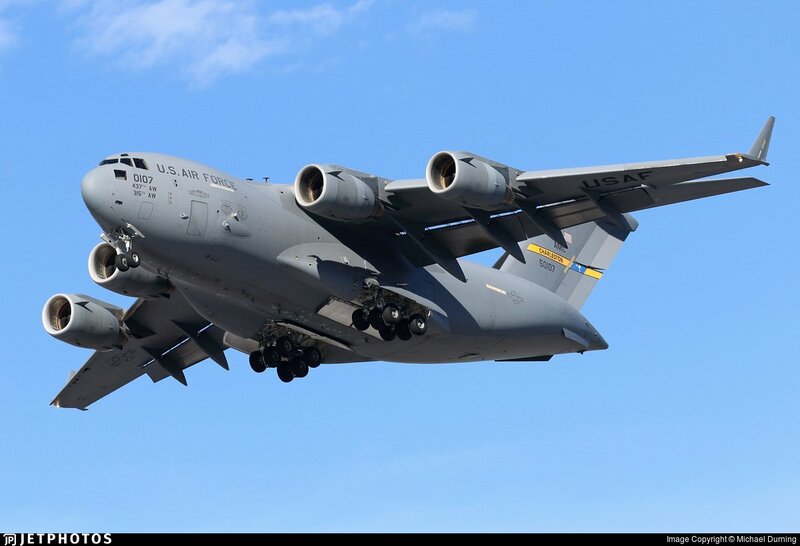 [email protected]: The FAES came asking for my wife. 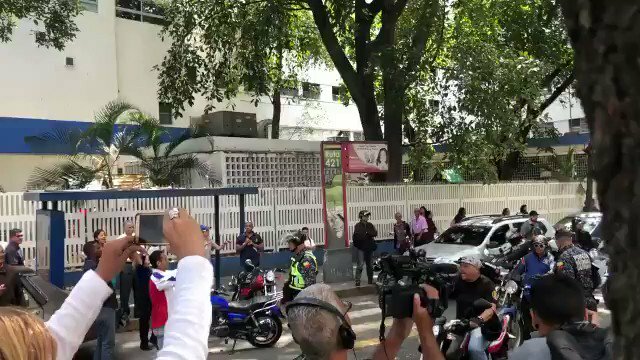 There were 4 officials in a van and a motorcycle. 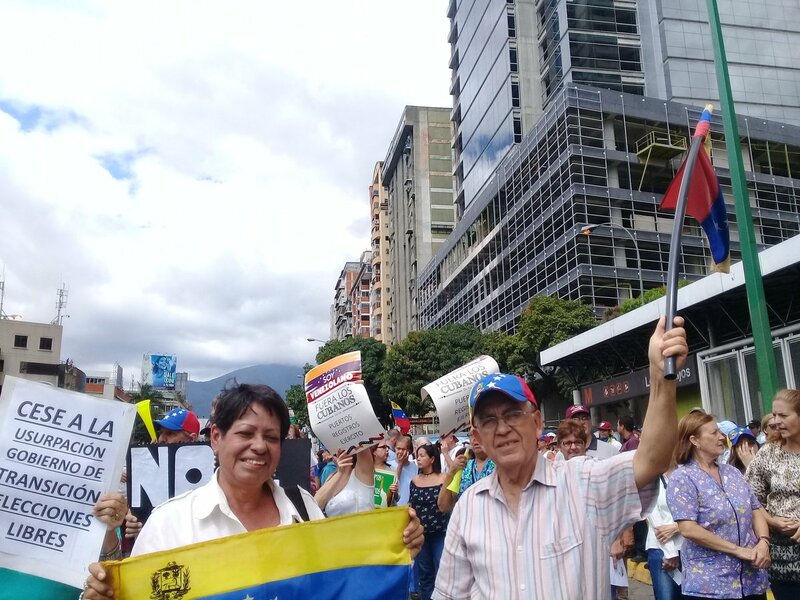 They want to pass the red line. 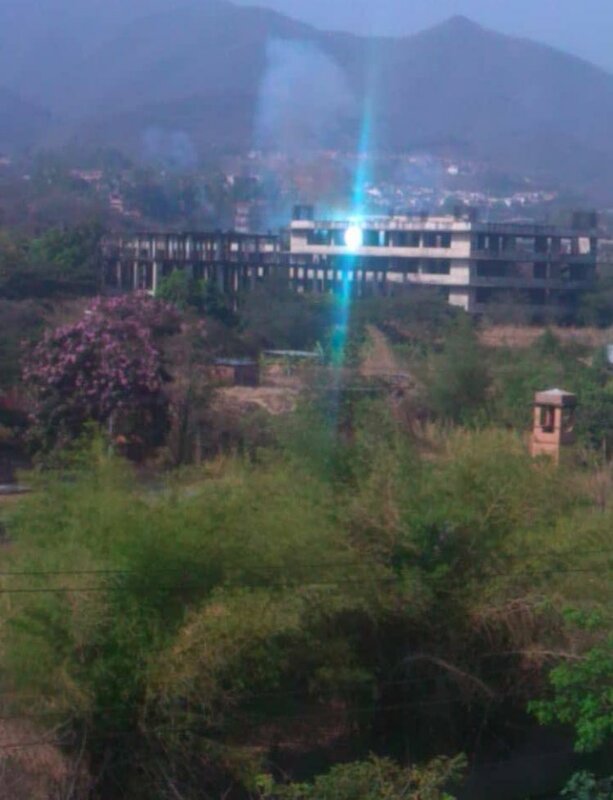 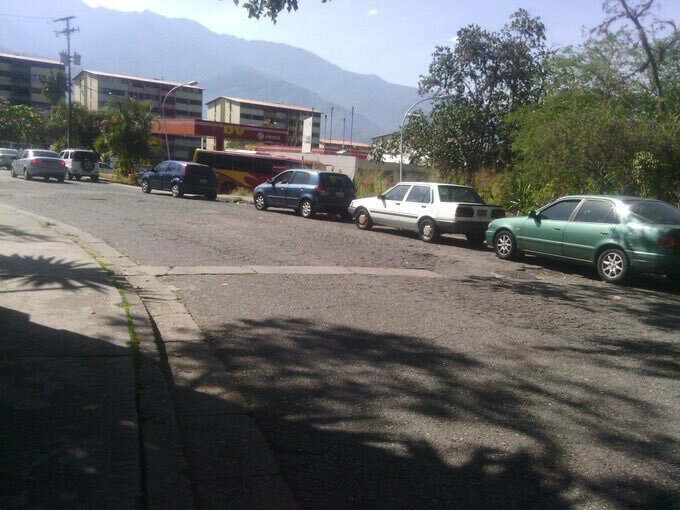 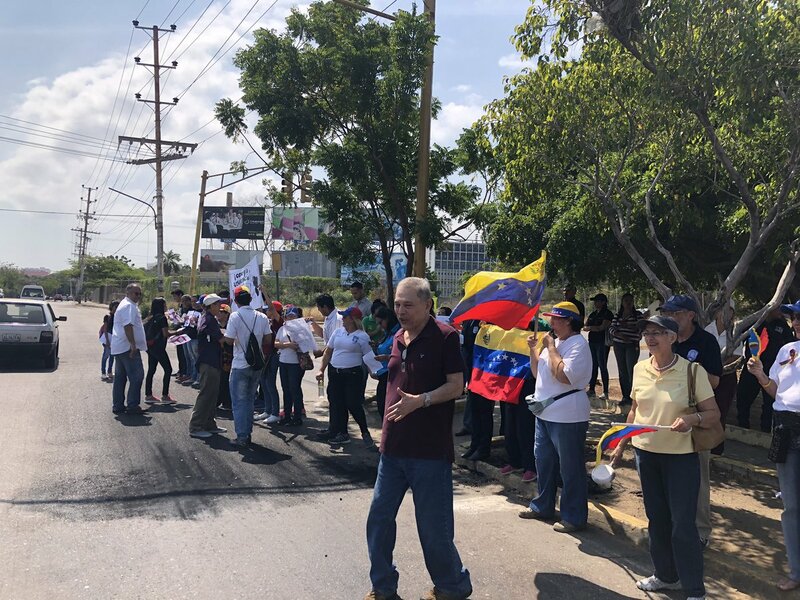 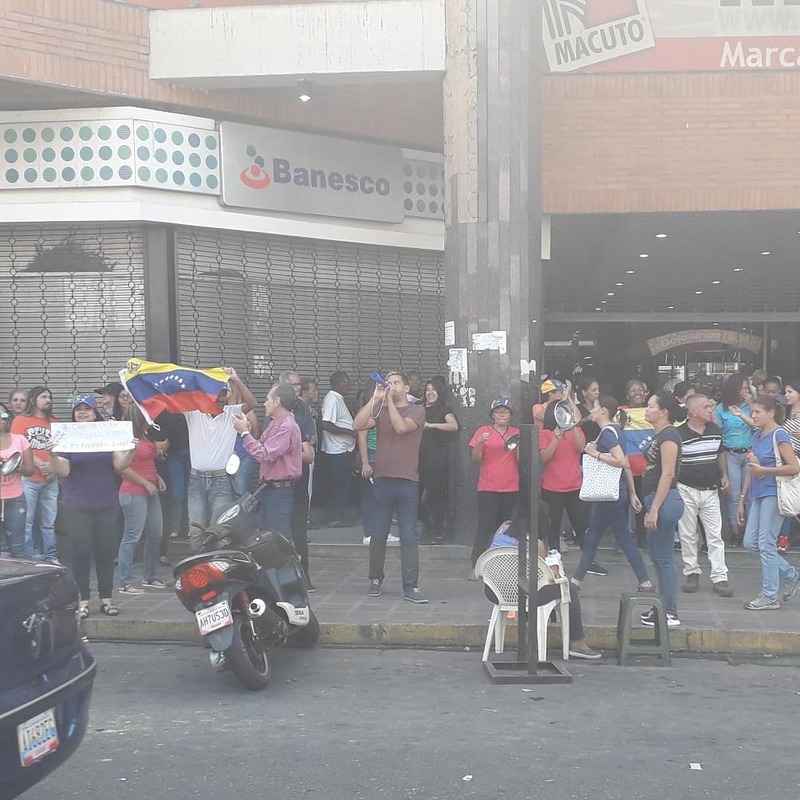 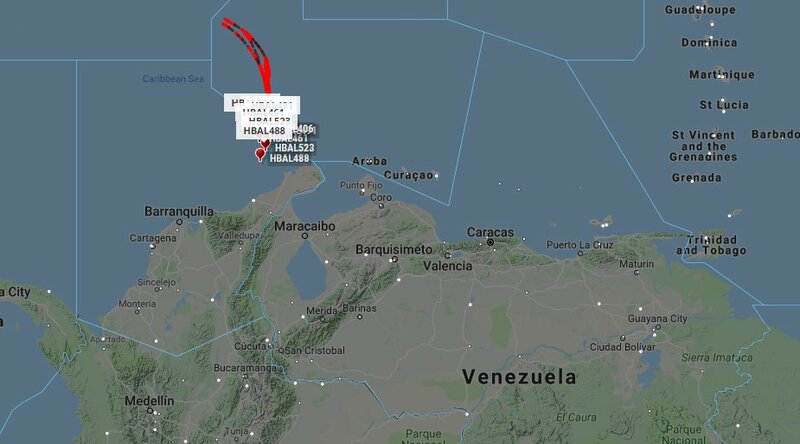 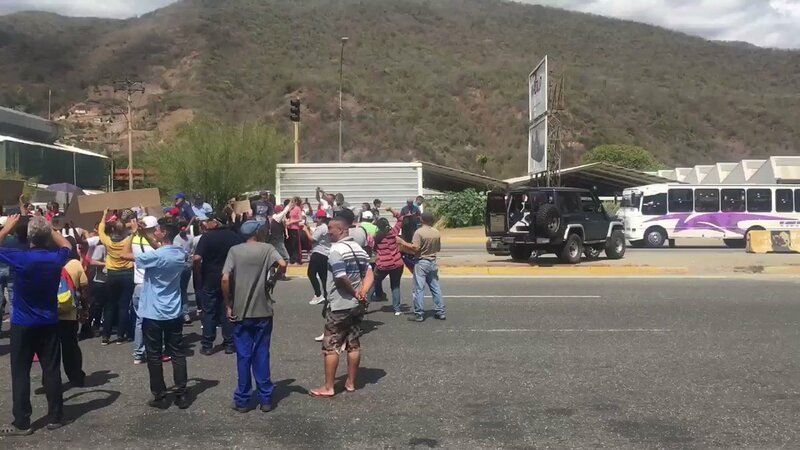 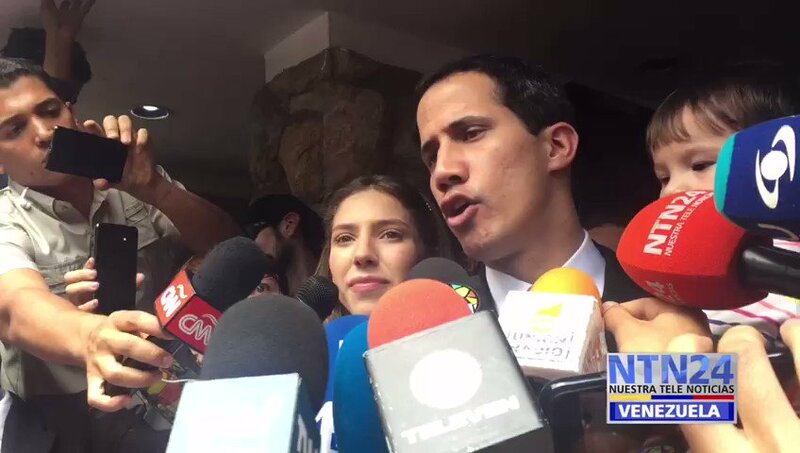 This is the residence of Juan Guaidó (@jguaido), after an alarm arose due to the presence of FAES officials in the area. 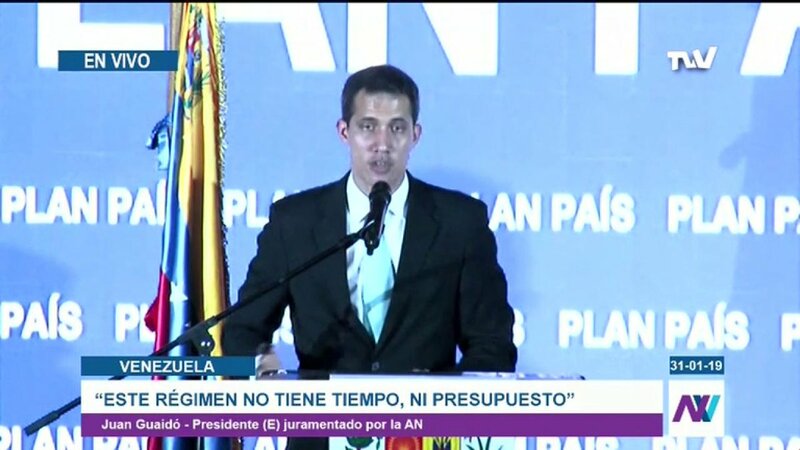 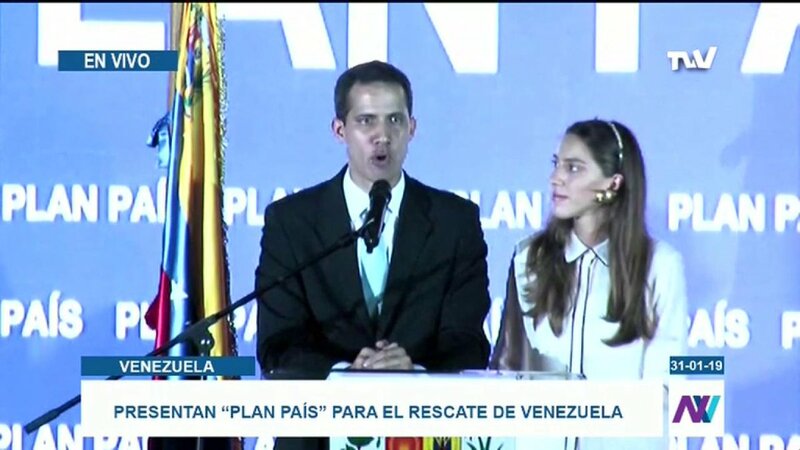 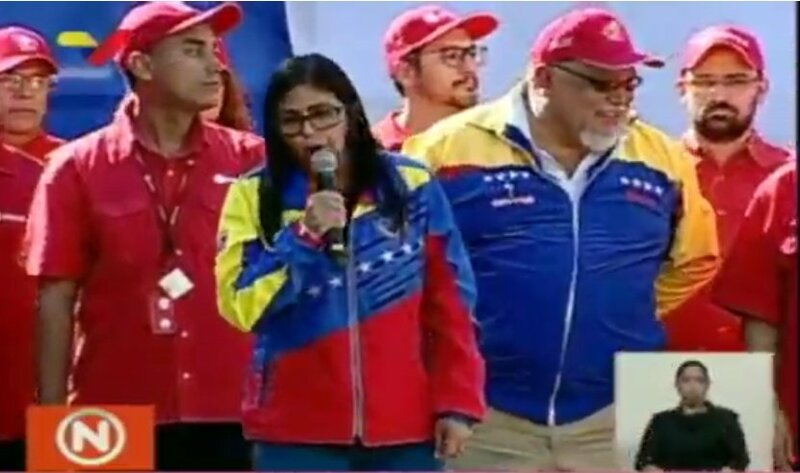 @jguaido: Gentlemen of the FAES here I am with my wife, my daughter is in my house and I am responsible for anything and intimidation that they can do to my baby of just 20 months. 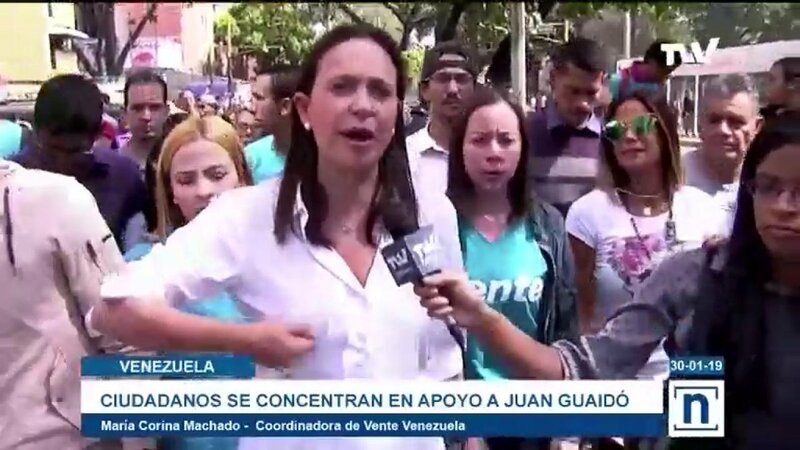 From here I go to my house and we all go out together, I’m sure. 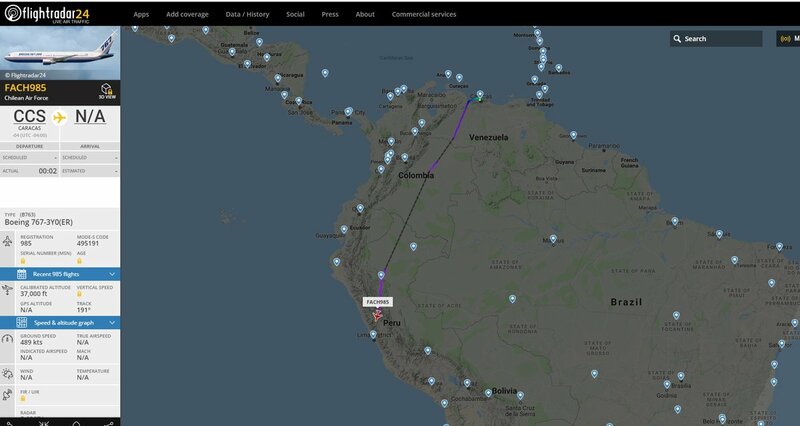 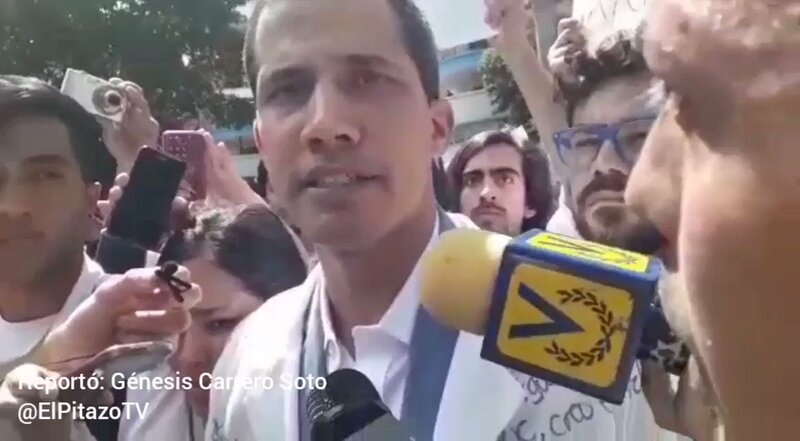 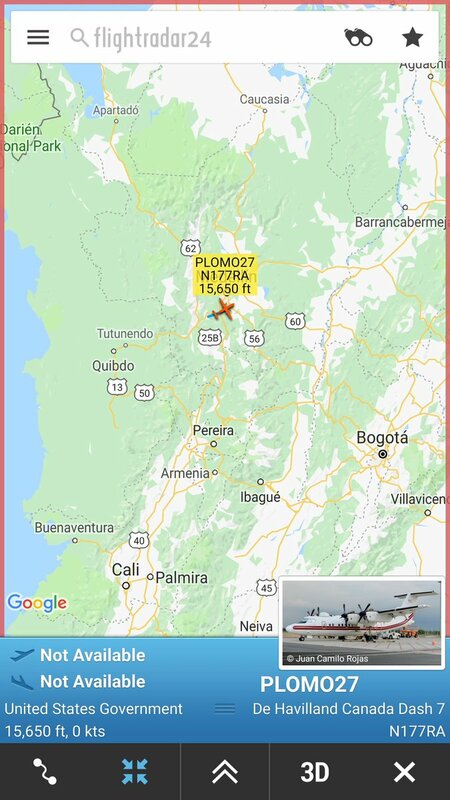 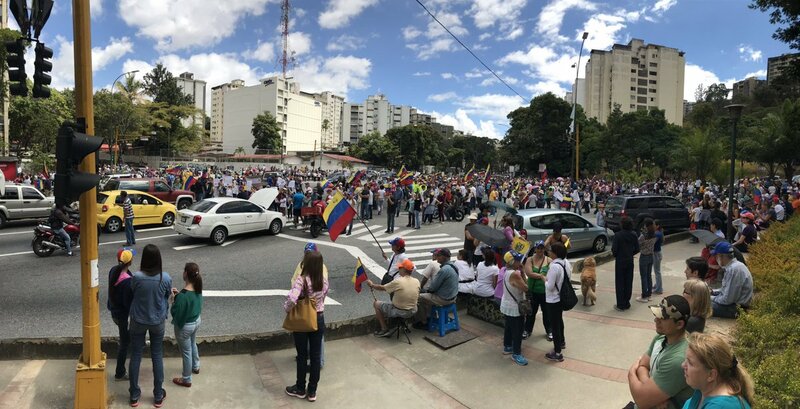 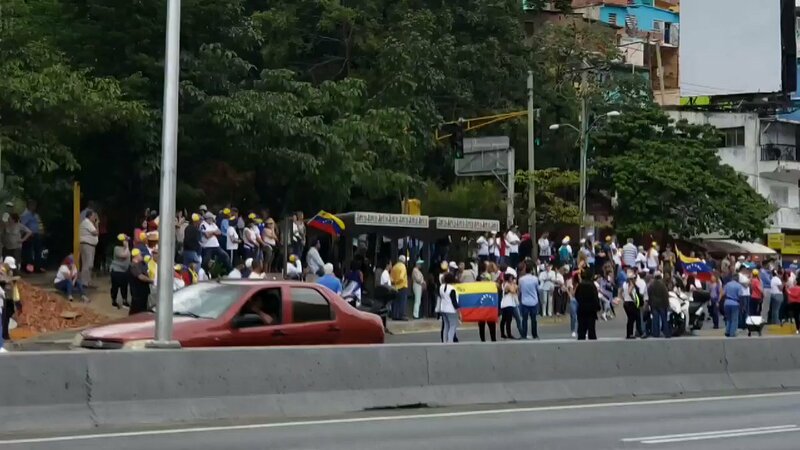 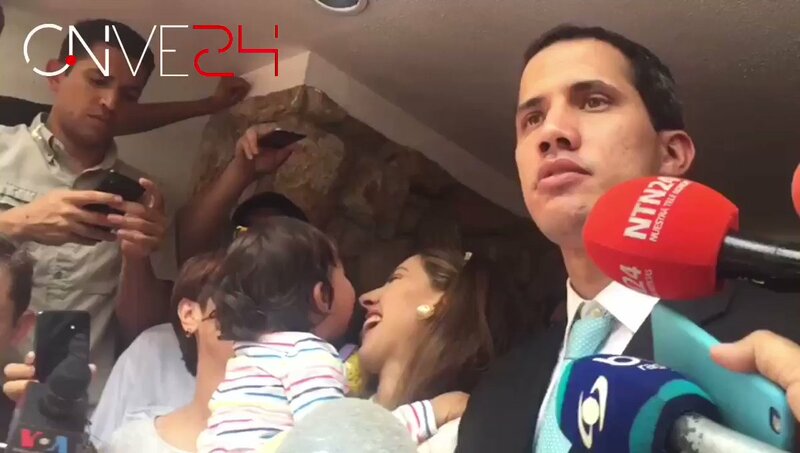 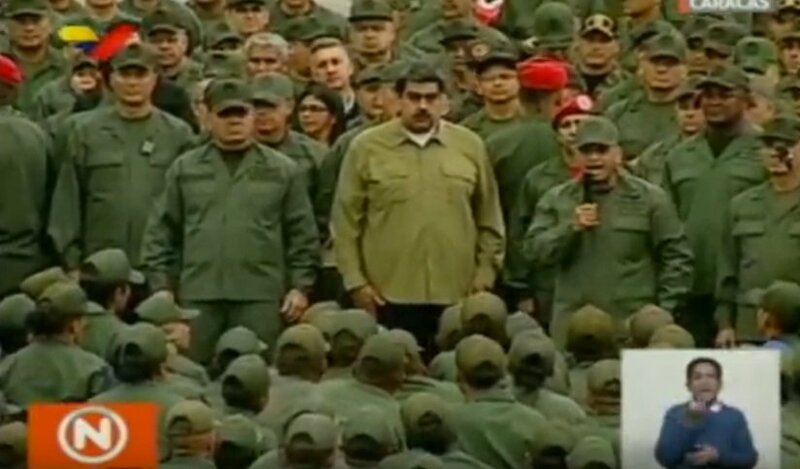 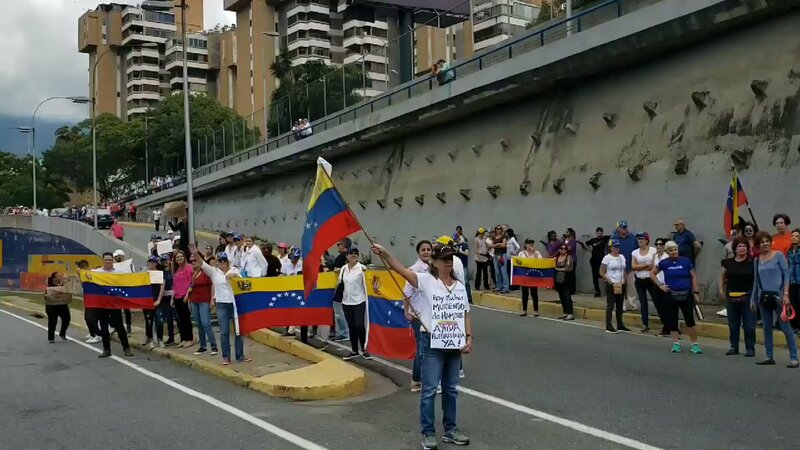 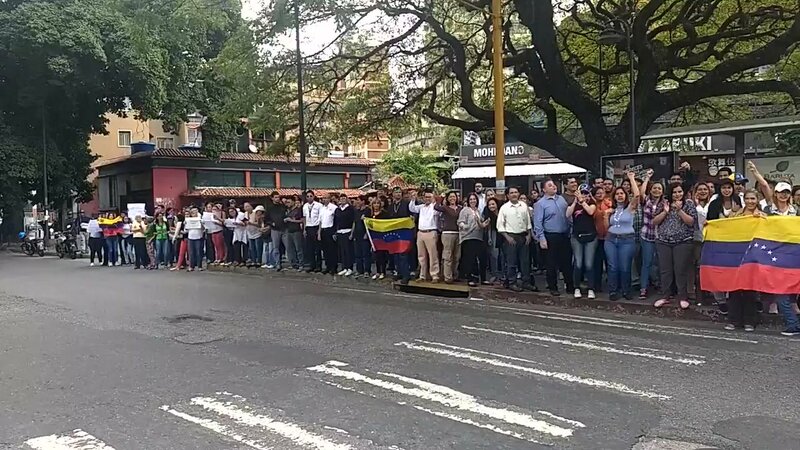 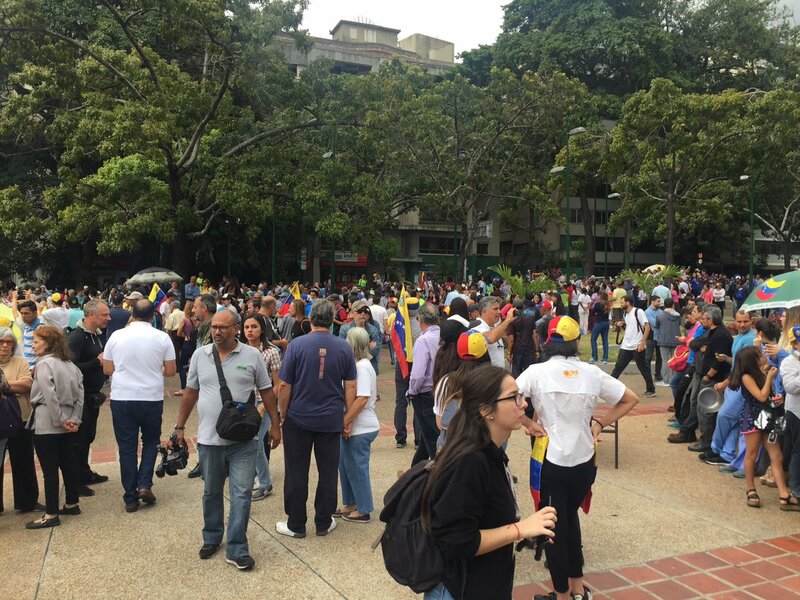 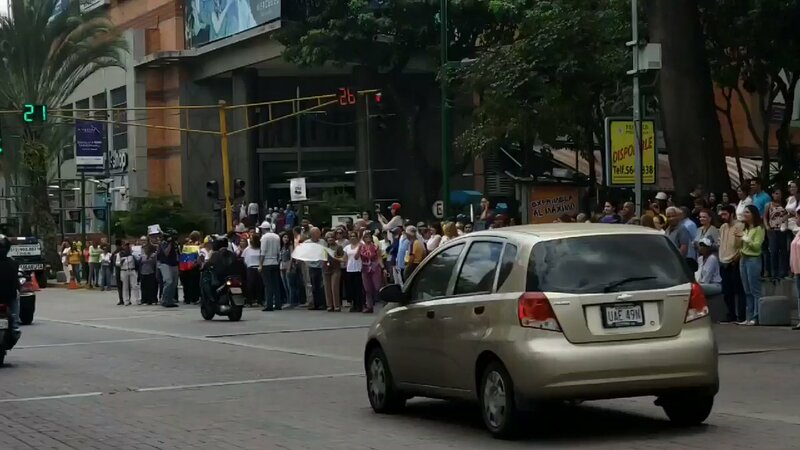 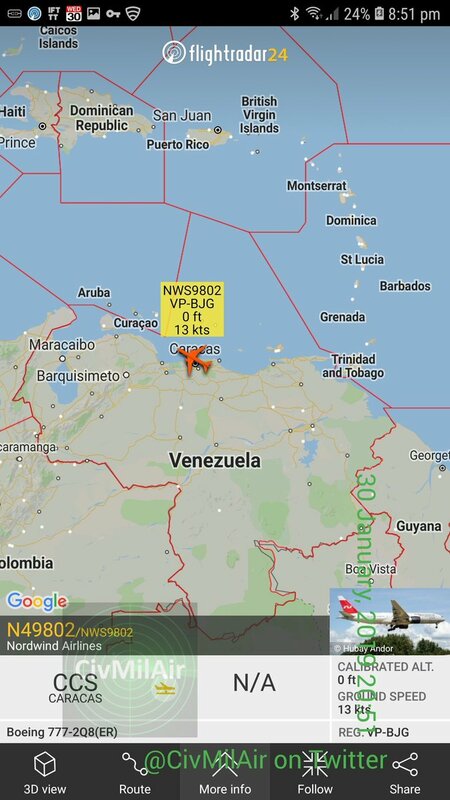 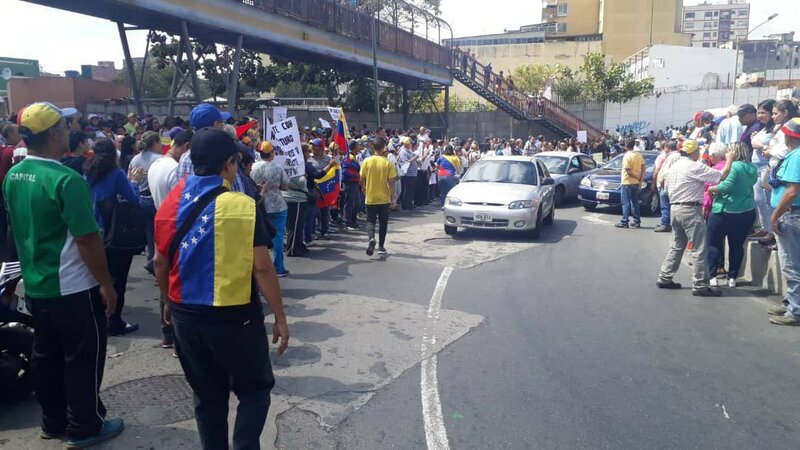 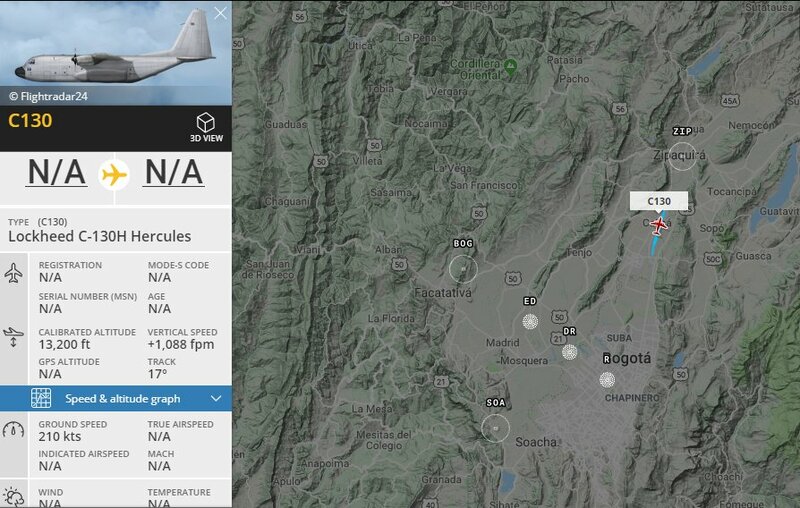 Confirmed by the press team of @jguaido that the Special operation forces of Venezuelan police(FAES) is arriving at the apartment where he lives with his family, while the President and his wife are in the Forum "Plan País" in the UCV, in Caracas. 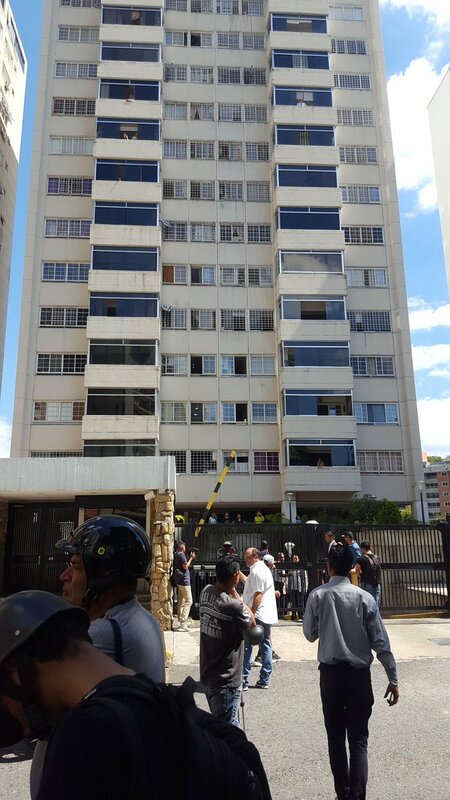 Santa Fe: Special operation forces of Venezuelan police (FAES) surrounds building where the mother of Fabiana Rosales, wife of @jguaido lives. 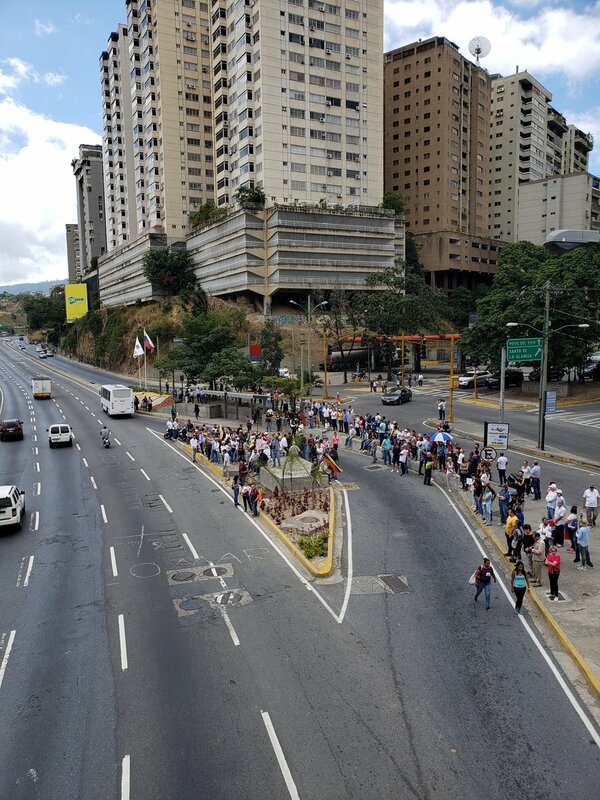 Neighbors prevent them from reaching the place. 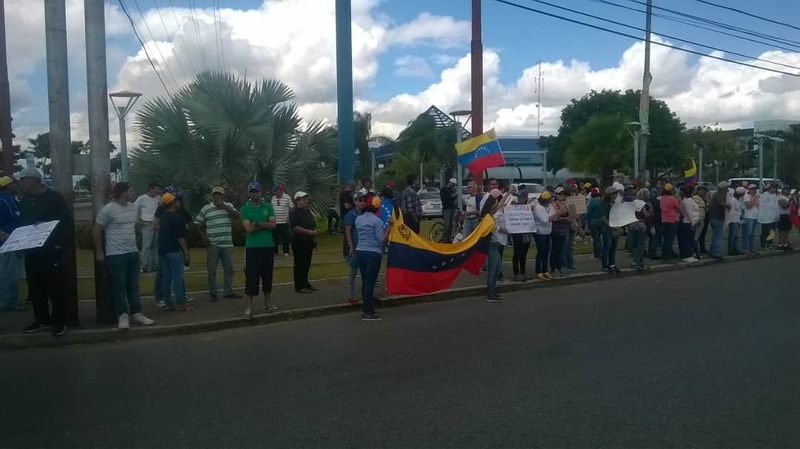 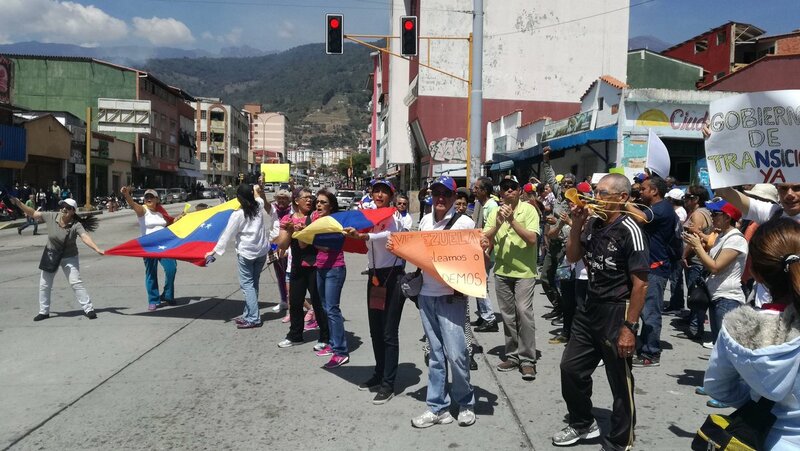 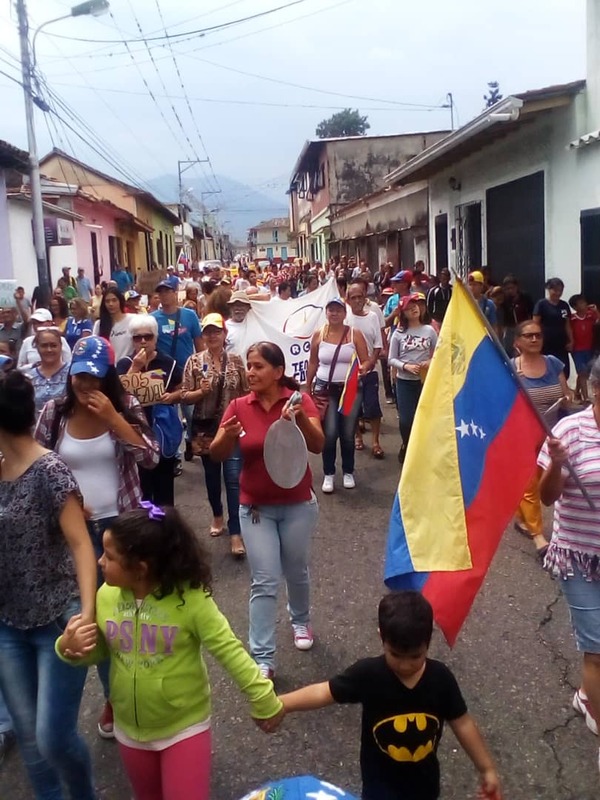 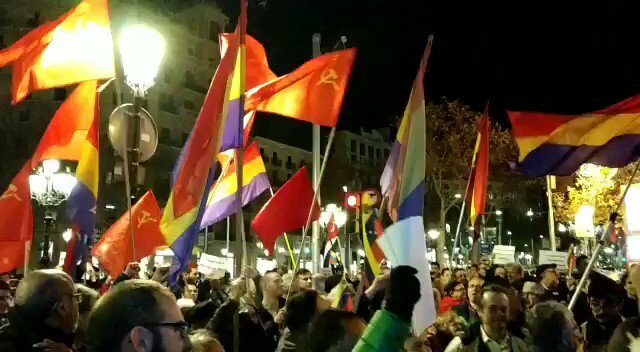 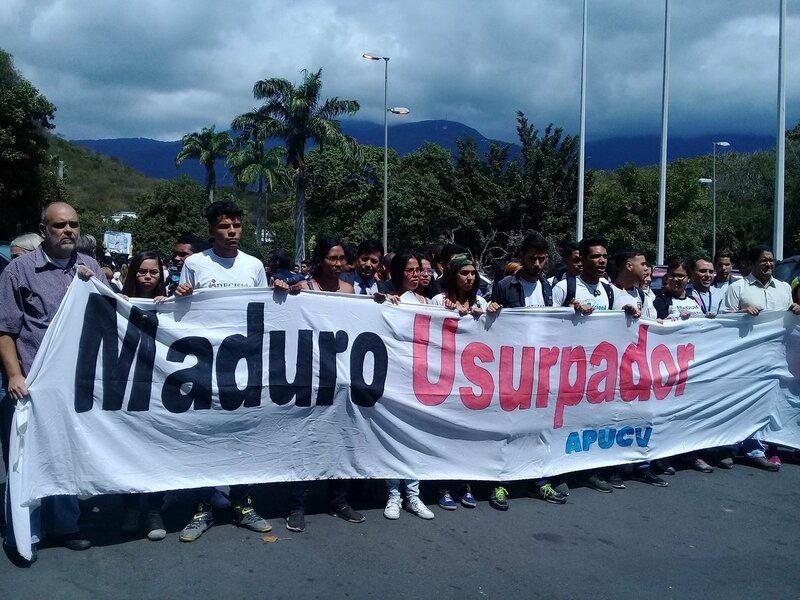 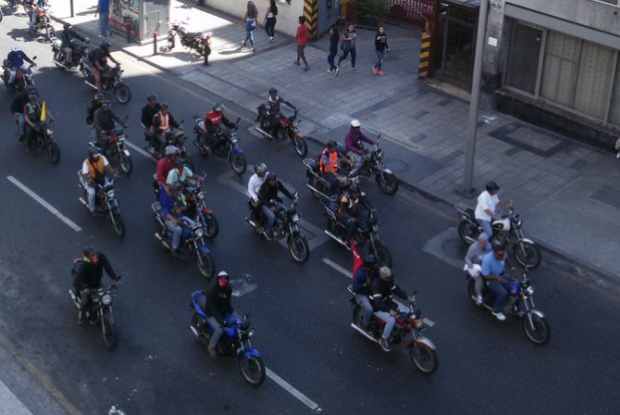 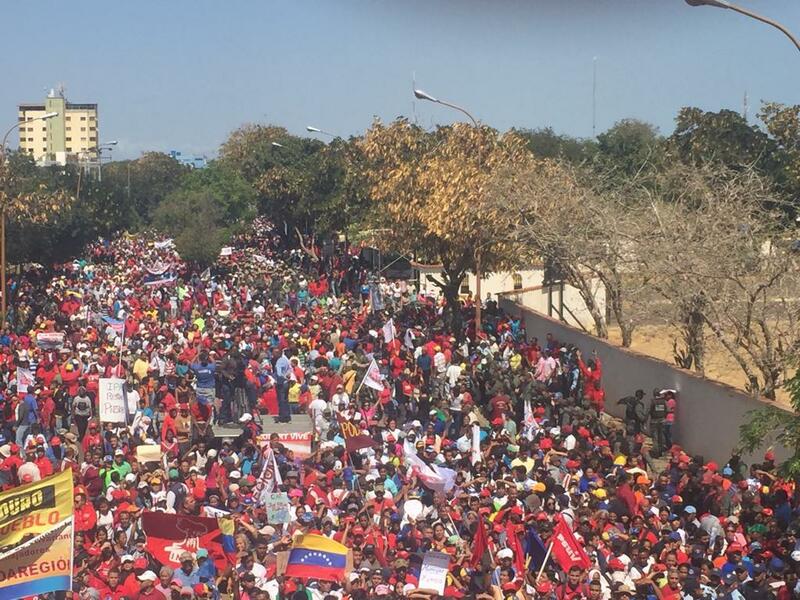 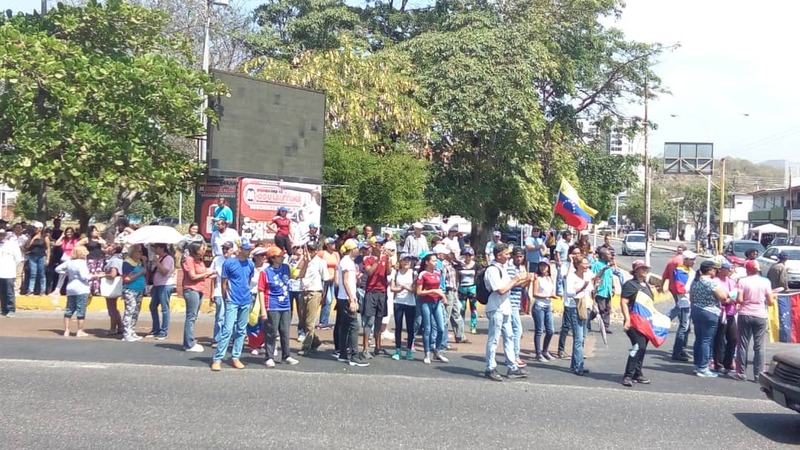 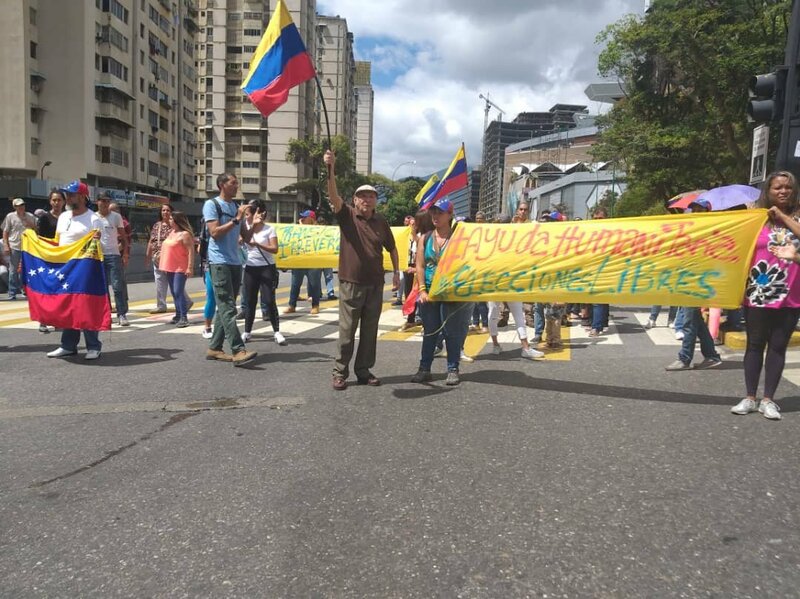 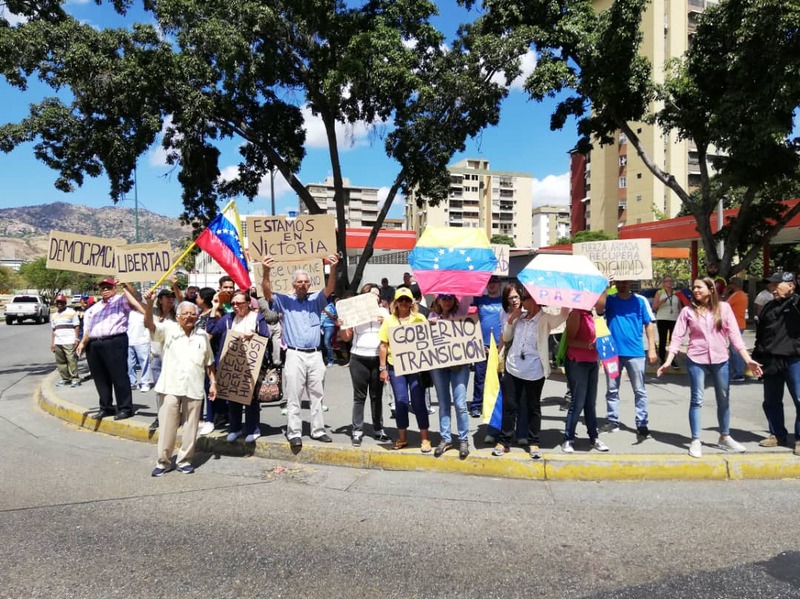 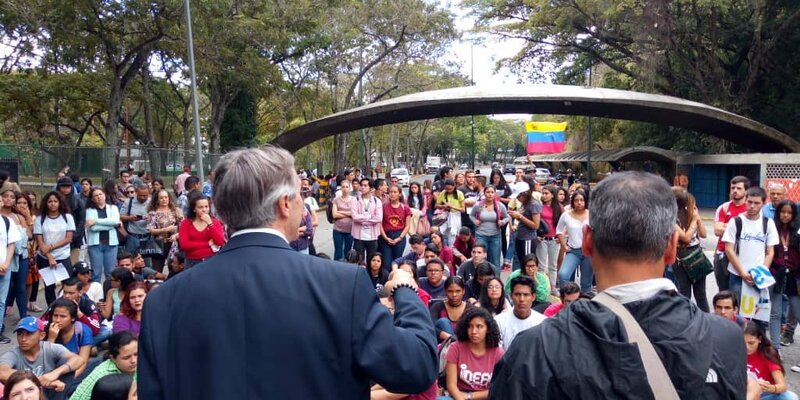 [email protected] in presentation of the "PlanPaís": We will continue in the streets until the usurpation ceases. 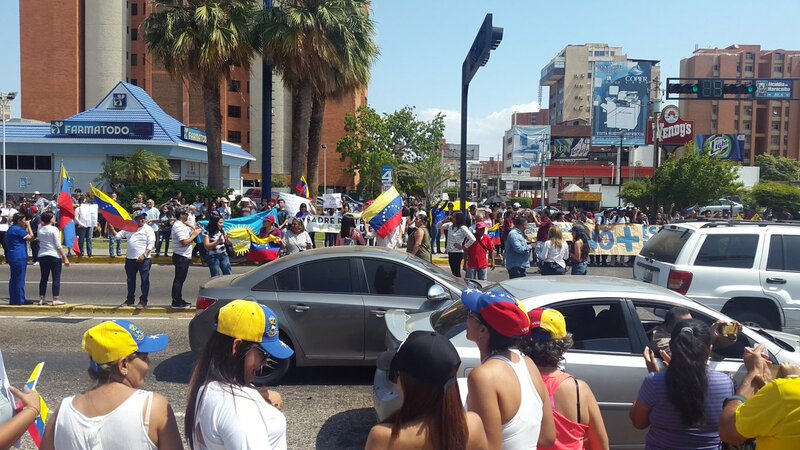 In Miraflores they bet that we were going to get tired. 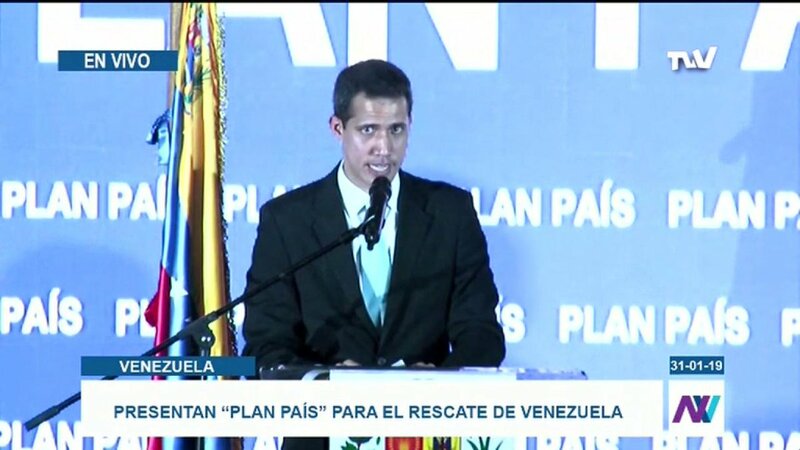 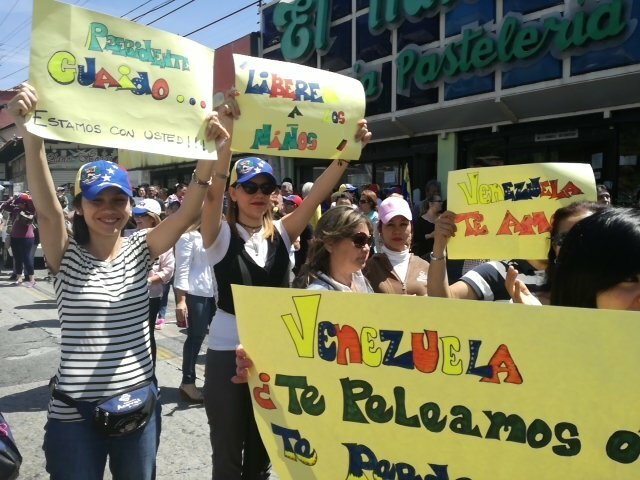 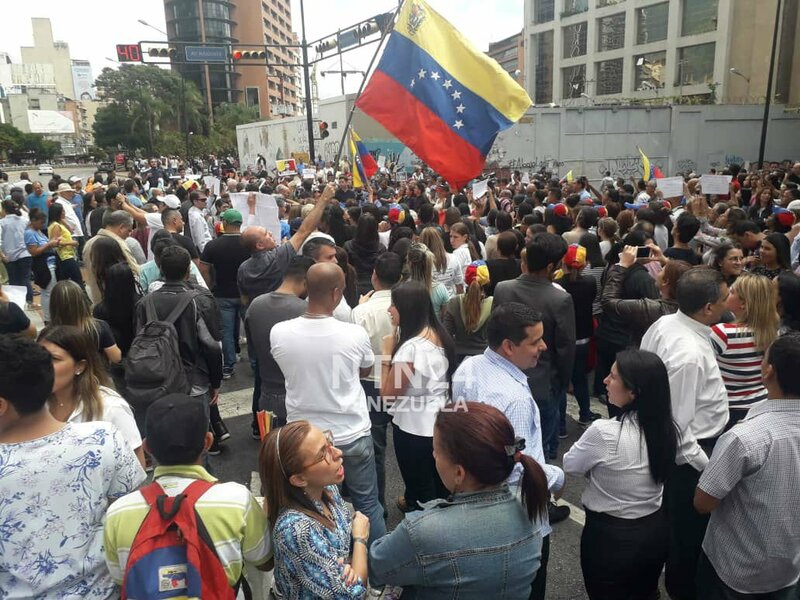 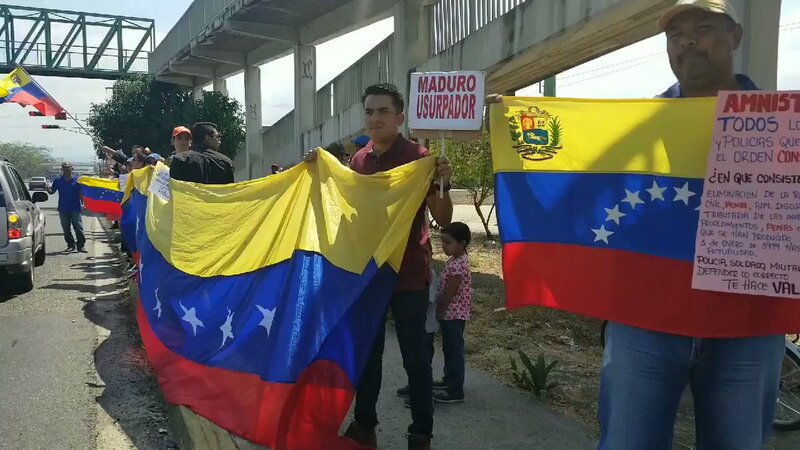 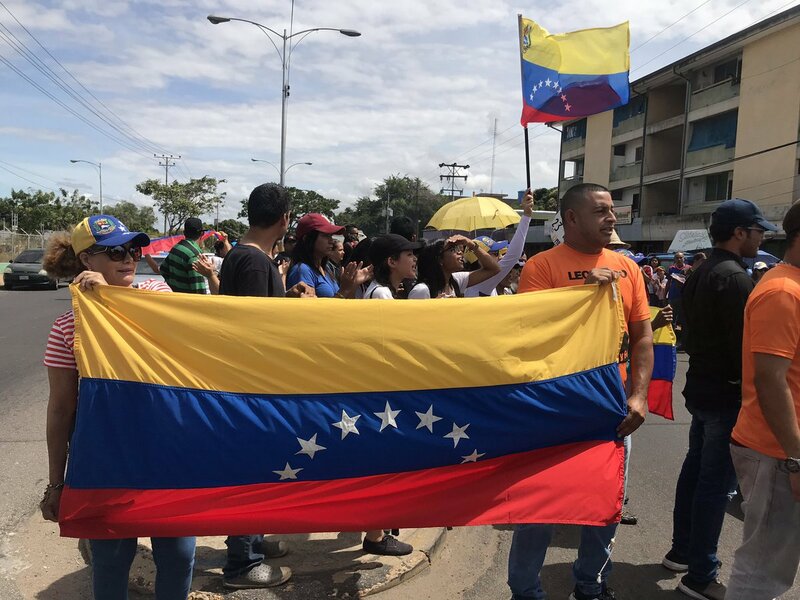 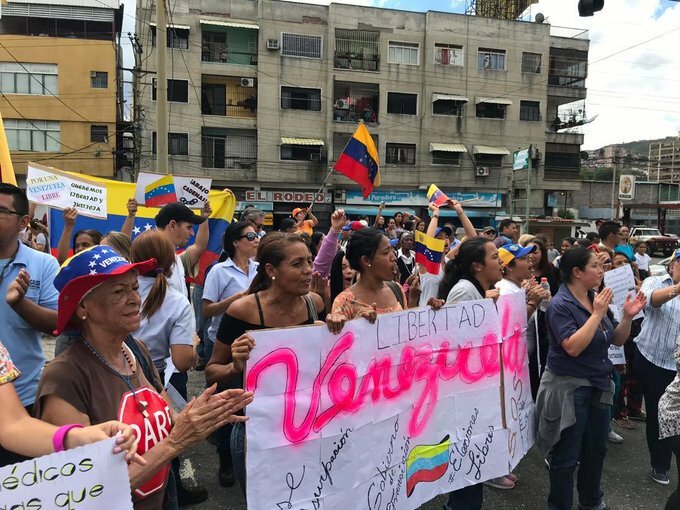 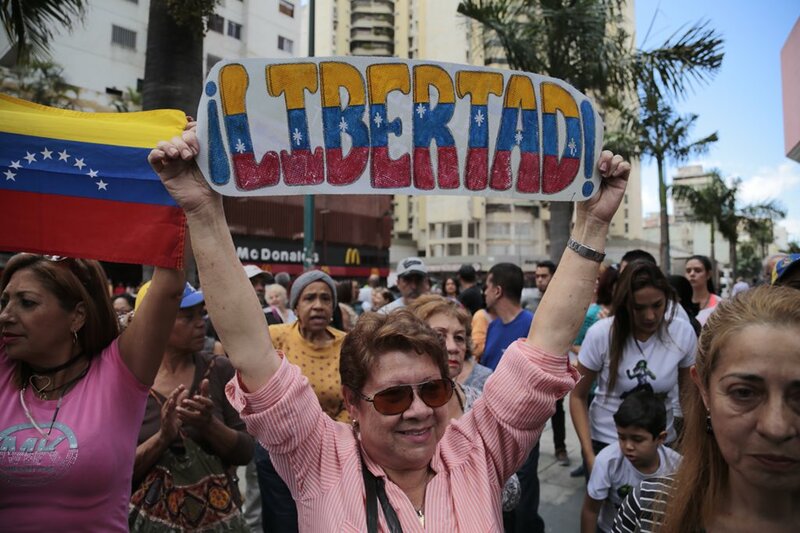 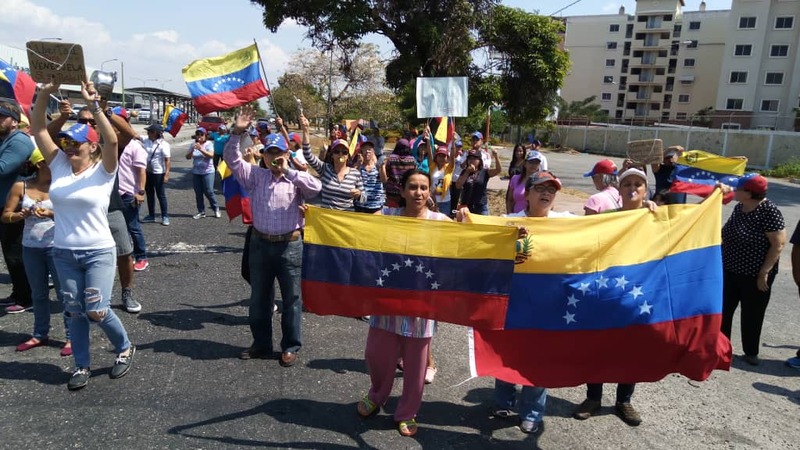 But this movement is unstoppable.
. @ jguaido: What it means to recover the State, restore goods and services. 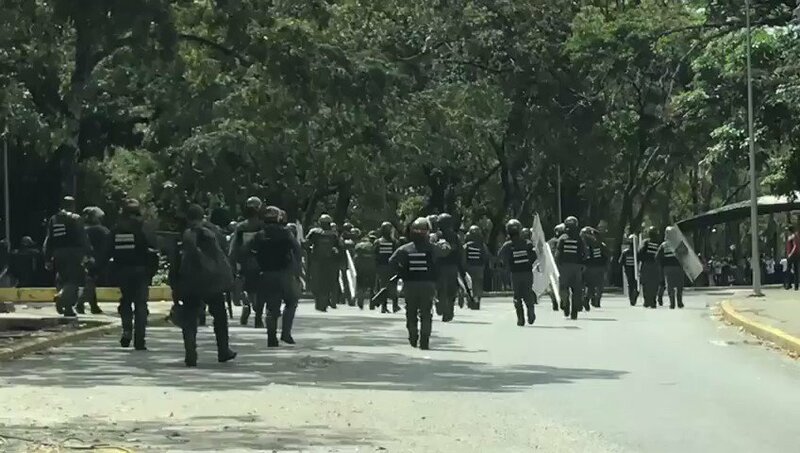 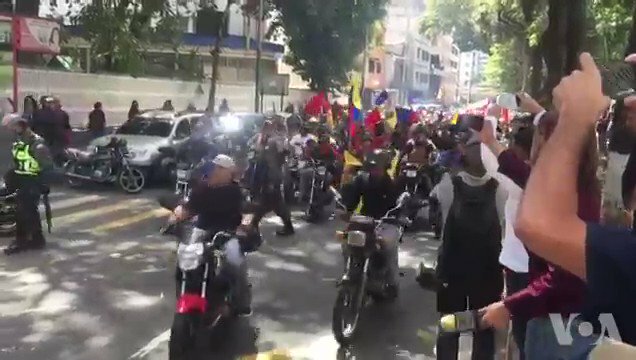 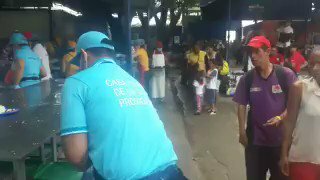 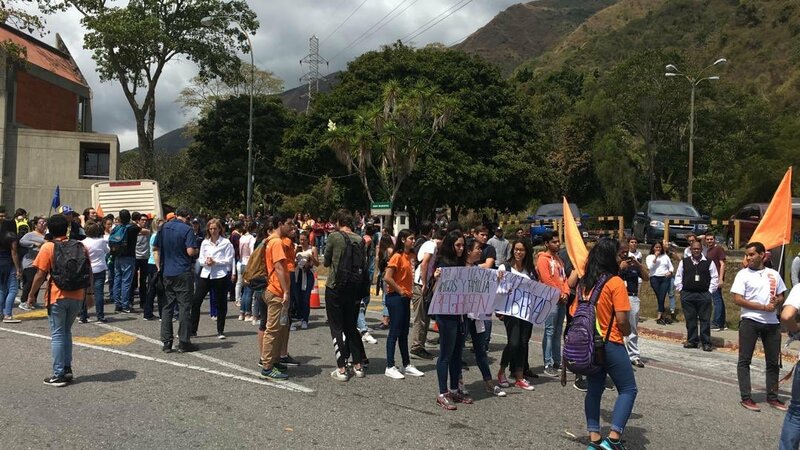 Today the State does not provide the minimum, it is not a whim of the Venezuelan to protest, no one faces pellets because he likes it. 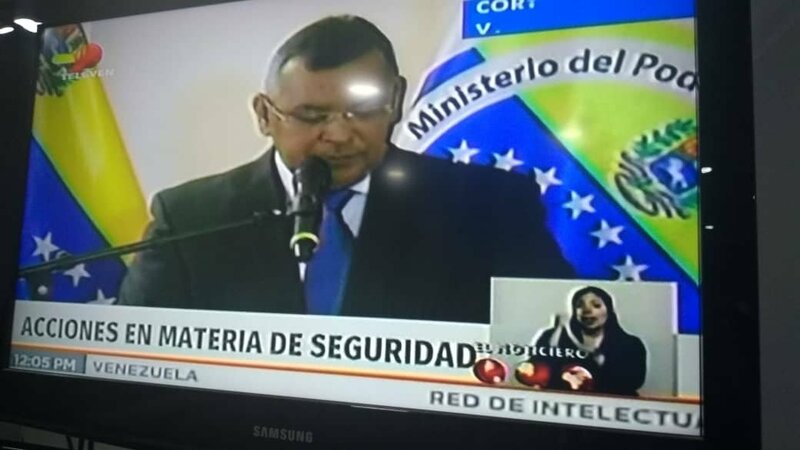 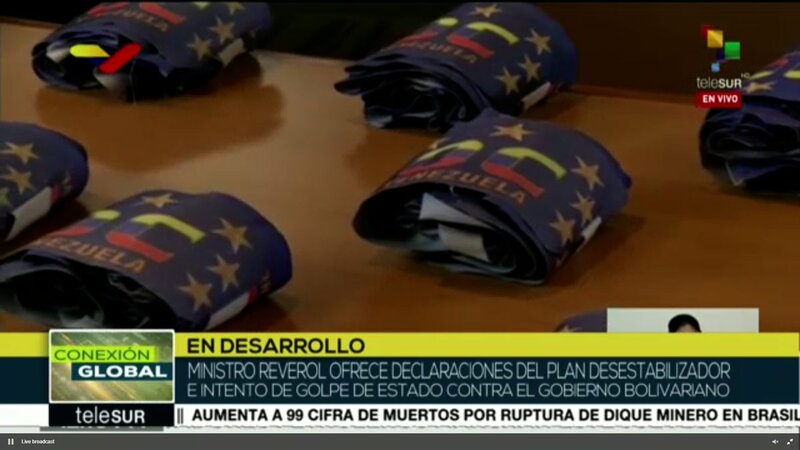 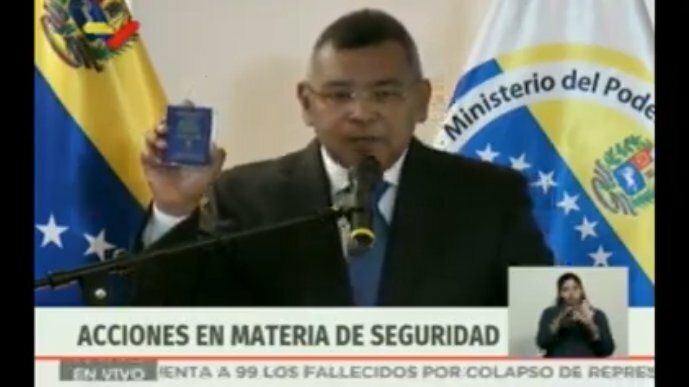 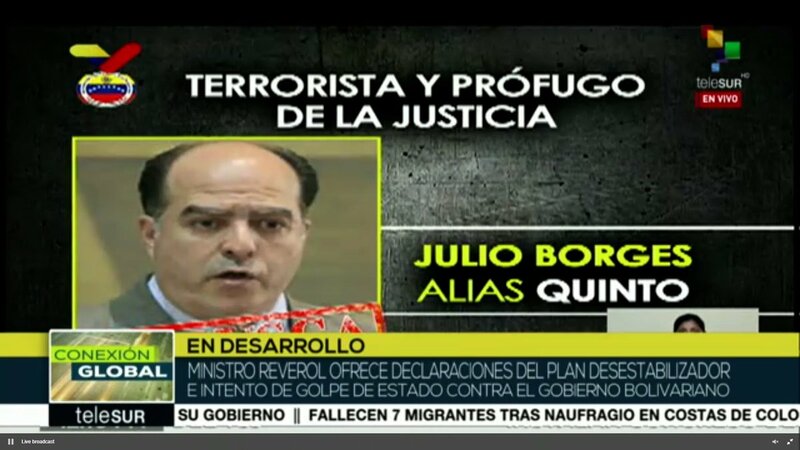 Venezuelan Minister of Justice Néstor Reverol: "we unveiled a new conspiratorial plan increasing of the coup d'état, in complicity with the CIA and Julio Borges"
Venezuelan Minister of Justice @NestorReverol gives information of national and international interest on the destabilizing plan and attempted "coup d'état against constitutional and legitimate Government"
Venezuelan Minister of Justice: "Our intelligence agencies have unveiled a new conspiracy plan"
Unidentified C130 military transport heading north out of Bogota Colombia - interesting to discover the destination, considering the current climate in the region.